Very little green here. Just the serial number. Should have used a $100 bill and really cranked on the green saturation. Just goes to show us, our money really isn't very green. It could be a little sharper but the exposure is good. LOL! I almost did this, but I only had a wrinkled one a couple nickles in my pocket! I wish this was a little more "green" but I'm scoring you higher anyway, just for the creativity. 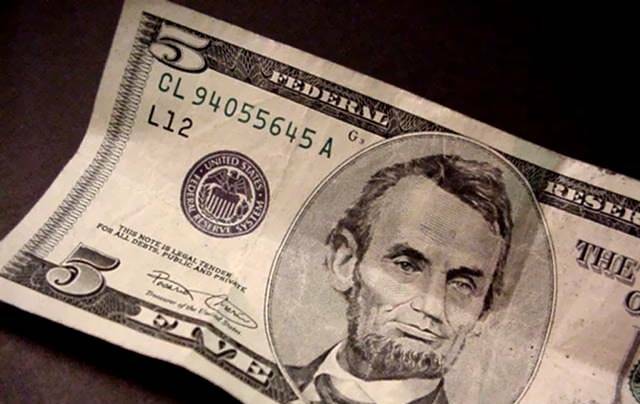 I think you should have empasized the color green on Abe. Proudly hosted by Sargasso Networks. Current Server Time: 04/20/2019 08:20:31 PM EDT.